911 Restoration New Hampshire wants to make sure that you receive quality water damage repairs and restorations to take care of issues like a roof leak or sewage backup. Our water damage Pelham specialists are available 24/7/365 to offer on the day service that will give your home a fresh start! Our water damage Pelham team has over 35 years worth of experience in handling water damage emergencies of all kinds. If you need assistance in dealing with any water emergency, get in touch with the water damage Pelham professionals from 911 Restoration right away. The moment you call, you can expect our team to be there within 45 minutes, an industry leading response time. This will allow us to patch up the issue in no time and get your home a fresh start right away! To get started on the restoration process, our water damage Pelham team will begin by providing you with a free visual inspection of your property. Through our assessment we can determine the extent of the damage and recommend the best course of action at an affordable price. 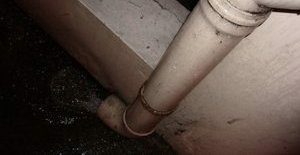 A sewage backup is one of the most dangerous water damage situations that can affect your home. Sewage is filled with all kinds of biological waste that can cause severe damage to your floors, walls, and textiles, and it can also cause the spread of disease throughout your home. We will wear protective hazmat gear that will allow us to work without exposing ourselves to danger and to prevent the spread of disease. We will use advanced drying tools and techniques to extract the sewer water and remove moisture from your home. Our IICRC certified water damage Pelham professionals will begin to repair any plumbing damage and restore all affected areas to make them look good as new. We will work with your insurance company to help you file your claim. Water damage Pelham experts from 911 Restoration are ready to cleanup this problem for you. Whenever you’re faced with this kind of daunting issue, our water damage Pelham technicians know exactly what to do. We have the training and equipment that will give your home a fresh start. Whenever trouble strikes in the form of a roof leak, pipe burst, toilet overflow, appliance leak, flood or storm damage, water damage Pelham team from 911 Restoration is ready to lend you a hand. Give us a call and get a fresh start today! 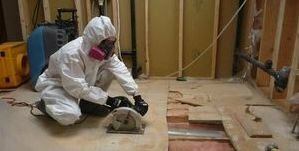 Water damage Pelham pros such as the specialists that we hire at 911 Restoration New Hampshire are trained, ready, trustworthy and fully prepared to deal with anything and this is why you should call us for any home water damage repair work that might be needed in your home or office. Our technicians are working with all insurance companies as well so that we can provide our clients and customers with a truly affordable price for the expert level work and services that we offer. When waters rise in a flooding situation, our water damage Pelham team will even help out with all the insurance papers too. And that’s not all we do. Our professionals can also solve your toilet overflow, water heater failure, and even your sewage back flow valve malfunctions. We do it all. Should you realize that you have a river running through your living room and you want to know what the best water damage restoration company in Pelham is so that it can be dealt with fastidiously and safely for you, then contact our water damage Pelham pros with 911 Restoration New Hampshire now!